You see, she was an author, something of a celebrity, and now a personal friend. So, of course, I was thrilled to see her, but was also deeply concerned about the impression we were making. Suddenly self-conscious of the layer of dust on the piano and the ridiculous pile of dirty socks by the front door. But we soon lost ourselves in conversation and enjoyed a lovely time of catching up on each others’ lives. Ignoring the young boys rollerblading through the entryway and the teens crooning love songs while cleaning up the lunch dishes. Our own happy kind of chaos. Well. What d’ya know. Where I saw mess and mayhem, she saw joy and contentment. A peaceful home. Speak kindly. It’s amazing how a little kindness goes a long way to setting the tone for the home. Gather regularly. For meals. For prayer. To simply hang out with each other. Enjoy your togetherness. Laugh readily. Joke and play. Be ready to have a good time with one another. Lighten one another’s load with a good laugh. Work cheerfully. It seems there’s always a job to be done. So why not make the most of it? Do all things without complaining and disputing. (Phil. 2:14). Give generously. Of your time and your possessions. The home is a place full of all kinds of giving opportunities. Forgive quickly. Don’t waste time nursing a grudge. Let it go right away and get on with a loving relationship. Hug freely. Give your little ones a squeeze. Wrap your arms around your big kids. Your spouse could probably use one too! Pray frequently. Ask God to bring peace into your home. Lift up the needs of the day. Seek Him for wisdom when you’re stumped (or even when you’re not). Cheer loudly. Let your family know you’re behind them. All the way. Offer your enthusiastic support. Who doesn’t need to hear a warm cheer now and then? So in all honesty? I often wish there was a little less dust on our piano and a few less shoes jumbled up on our front porch. I don’t know why those dirty socks can’t seem to make it to the laundry room and I wouldn’t mind if it was a wee bit quieter. But I guess we live here (as he often likes to remind me). In our dusty, noisy, slightly crazy – nevertheless peaceful – home. So how about you? What little things do you enjoy that contribute to a peaceful home? I’d love to hear them! Lisa is the happily-ever-after wife of Matt Jacobson and together they enjoy raising and home-educating their 8 children. She's also rather fond of dark chocolate, French press coffee, and deep friendships (though not necessarily in that order). She encourages women to embrace the rich life of loving relationships and the high calling of being a wife and mother. You can find her sharing her passion for husband, home, and family over at Club31Women.com and on Facebook. I am not sure we have the most peaceful home, but we are learning. We welcome friends with open arms, we eat meals together, we give lots of hugs, we we play together, and we work together. While we do somethings right we have a long ways to go in others. The one area we probably need to work the most on Is how we speak to one another. Anyway this is an excellent reminder and some great scripture to accompany your points. Lisa, this is beautiful! I’m sharing everywhere. This would be great as a printable graphic. I may make one out of it and put it on my cork board in the kitchen. 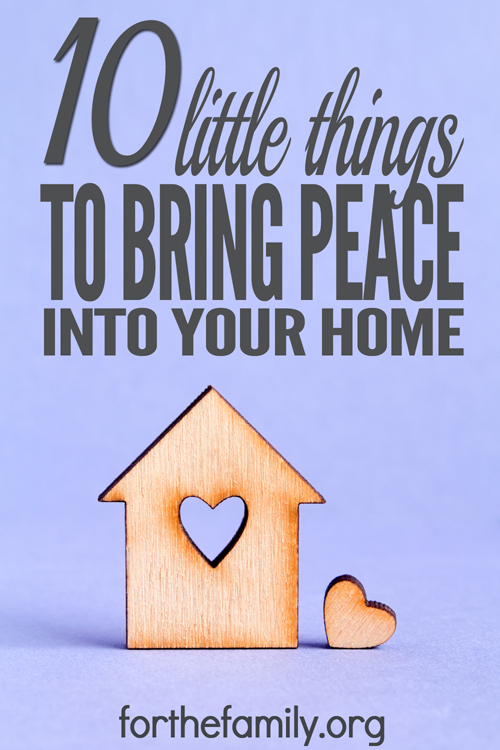 We work to have a peaceful home and always strive to incorporate these ten things…doesn’t always work out, but it does a lot of the time! Thank you! Samantha, if you lived any closer, I’d give you a hug! Thank you for all your warm support and encouragement. Blessings on you and your peaceful home! Lisa, such beautiful words. I desire my home to be peaceful, thank you for the advice. Thank you, Jenifer! You’re such an encouragement to me. Sometimes I wish my house was neater, I vacuumed more often…but I’ve realized that a clean house is nice, but it takes away from my family. It’s ok to leave the dishes in the sink overnight. It’s ok to let the mac and cheese on the floor dry and sweep it up in the morning, my time to my children and husband is far more important than a pristinely clean house. I know what you mean, Amanda. I’m something of a clean-freak-wanna-be. 🙂 But not if my “need to be clean” takes away from the joy in our family. The person who remodeled the interior of the house I’m living in now was either a man who had a woman do did all the cleaning thus he could careless or the person really love the color white. Goodness gracious. The tiles of the floor are white, the sink for the kitchen and the bathroom are white, the kitchen wall tiles are white, the doors are white and when I moved in the walls were freakin white. It’s a nightmare! Impossible to get it 100% immaculately clean all the time. A tiny dirt and boom it is a sight for sore eyes. Good thing I’m great at painting otherwise the walls would still be white. If I ever have the money for it, I would so hire some tile installers to remodel the floor and install grayish tone matte tiles. Those tiles barely show flaws or pick up dirt as these clear white glossy tiles. Good grief do I really hate the white color scheme of this house. hearts; since as members of one body you were called to peace. And be thankful.” Anyway, we discussed peace this morning during our devotional time and I used your post to help guide our devotions. God is good how he works things together like that. Thanks for a helping make our devotional time great. That is the perfect verse for this! If I make a printable of this one (which I’m considering), then I would like to begin with that very verse. Thanks for sharing it with us! I would love a printable. 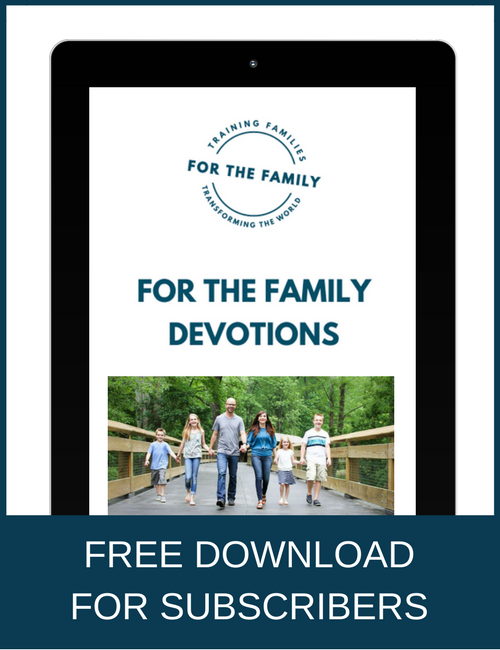 I have used many of your printables and even typed up things you shared and made my own printable including 21 things you would tell younger wives (even though I’m not really a younger wife) and put it in my prayer journal. Thanks again. oh this sounds like us! Bless you!! I so often struggle with having to have my house “just right” in order to have people over. Then I stress and worry and pass on my stress to my family. Thanks so much for this wonderful post! I’m with ya, Lindsey! I have to work hard to “let it go”, so that I don’t burden my family with my up-tightness. what a high praise from an outsider looking in! I hear God telling me in so many things “switch your perspective to the positive! Where do you see blessing? !” As mommas & wifey’s we discount what we’re doing b/c there is so much to be done but truly, in what spirit are we doing those things? It exudes from us , our homes & our families…..what affirmation you have received from your friend! Hold on to that, it is God’s encouragement! What an encouragement! I should read over this list every day. Thanks for sharing it. What an encouraging article! Thanks! Merci! Oh, what a wonderful addition, Sheila! (And I love your tradition of hugging each other afterward….I’ll have to suggest that one). It’s an ongoing process, isn’t it Crystal? It sure is here. Very Great and so Wonderful, Truly Powerful “10 Little Things”! Thank you! I will Read them to my family, God Bless your family, too. Praise God for your post. There is something so refreshing and gentle in post that makes me look at my home in a new perspective. I have always been more concerned about driving myself to finish the chores of maintaining the home and being making my family miserable if they messed it up again. I am praying right now for a peaceful, godly home. I want my home to be a place of love and peace for my family and friends and not necessarily perfect. Robert – I am just a reader here. A sinner like everyone else. But I wanted to share with you that I watched a Billy Graham special tonight just 25 minutes ago it went ended. During the special a man was speaking who told us that he would jump into the street in front of a car and point a gun at the driver just to feel the power over her and he saw her face show terror. He spoke of drugs and killings, and made the point that he could care less about people or anything. Then he went through an “accidental” encounter with God and his life was changed forever. I asked my husband “how do you go from his uncaring attitude to where he is now?” and my husband said simply “God”. So maybe you cannot change your wife’s mind. Maybe all you can change is your relationship with God. With God all things are possible and He will work all things for the good of those who love Him and are called according to His purpose. Work on your relationship with God, pray for your wife that she will find God’s blessings. Whatever God does, you can trust Him. Praying for you and your wife. Robert, Have you tried a book called “The Love Dare”? It is a 40 day challenge to make your marriage work. The best part is, it teaches you to be a better spouse without the other person even knowing that you are doing the “Dare.” It’s available at Amazon and Barnes & Noble (Most book stores really). Give it a try. I learned about it from a movie called Fireproof. It’s a Christian movie by Kirk Cameron. I think most people look at the fact that it’s Christian and immediately decide that it can’t be entertaining but it’s really good. Maybe you and your wife could watch it together…just as friends more than a married couple. It may open a discussion between you two as to how things can improve. I’m definitely no marriage counselor but I really believe that if God has brought 2 people together than it is worth fighting for. I like your list plus the addition of worshiping together! I’m going to try to follow it in my home from now on. thanks! That has always been my motto. I have never put housework before my family. The chores can go anyday just so I can spend time and enjoy my children and my husband. Recently the kids and I have started putting away laundry together and we talk while doing it. Learn how to incorporate togetherness through chores. Win Win! Thank you for this! It is what I long for in our home…what I pray for. I will be posting this list on the fridge to read daily. Thanks Lisa – I needed this – a year ago we moved our family 1500 miles across the country to Colorado. My husband has MS and couldn’t handle the harsh Michigan winters any longer. It has been a year of ups and downs and moving twice (rental and our new home), renovations and messes galore. Our new fridge has died twice in the last month and we have been living out of coolers amid school projects and homework. The best part of the move was that our two youngest daughters have their dad – he’s not in bed all day in pain. We hang out and play goofy games and listen to the news together – or just laugh. My paranoia of not having a clean house all the time is waning as the laughter of our family time fills our home. I’m so glad other people get that mysterious pile of dirty socks by the back door. Socks seem to have a life of their own in my house! For so many years, while the kids were still home, I avoided having guests like the plague! I was consumed with the idea that my house wasnt clean enough or well decorated enough. I felt that I had to create amazing meals for them, straight from the pages of a magazine. My children were rarely allowed to have a friend over night because It would take too much effort on my part to get things ‘ready’ for company. We enjoyed our family life but were trapped in an isolation of my own making. How selfish of me!! I spent so much time avoiding being hospitable out of such petty, selfish fears! Recently, I became convicted that I was not just letting my fear dictate to me, I was being DISOBEDIENT! As Christians we are to be hospitable (1Peter, Romans, Titus, etc.) so, I had to swallow my fear and open my home. The first time? HARD. But with each consecutive occasion it became easier til now, I am completely at ease with it! I’ve learned to not obsess over a little dust and to cook only simple, familiar meals that I could make with my eyes closed. I have learned that my guests come to visit with ME. Not my house and that whatever I feed them is not as important as the conversation during the meal. Wow! How freeing!! The best compliment I’ve ever received from a guest was that our home felt peaceful. And THAT is far better than any compliment on my food or decor! Great point. I never looked at it in that way. It definitely puts things into perspective. Great post. That was ‘my plan’…exactly. But not my husband’s. It was a struggle but somehow, with faith firmly planted in GOD and grace of Jesus, we muddled through. 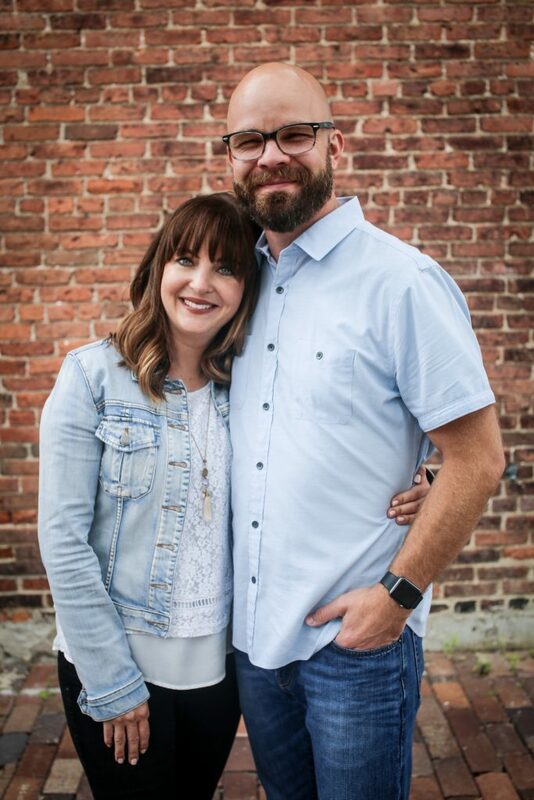 Ferociously still in love, Now, 3 adult children, serving Jesus, and 40 years under the bridge, it’s a lesson to young people and test of love and faith. He became the man of my dreams. So ladies, if it’s not perfect, hold on. Good husbands are not bought they are prayed. I love getting to that point in a friendship where I don’t feel the need to have a spotless house in order to feel comfortable having them over. My closest friend helped me get to that point in a hurry, as she loves to drop in. (Which I love!) Soon after meeting her, she dropped by, while my hair was in a towel, and my house was less than clean. It was a huge turning point for me, and I have been able to loosen up about the small things and just enjoy the company. I think it also teaches our kids to accept others as they are, rather than teaching them that we have to clean up to be accepted. I’d add one more – don’t compare. The kids to each other, your spouse to other men (or women) or yourself to other people. I had an offhanded compliment one time from a visiting young mother who thanked me for showing hospitality in a house that wasn’t always perfect! She felt her house was never “ready” to have guests with 3 young girls and a house that is lived in all day. After our visit, she was encouraged to embrace her “imperfect home” and invite some friends for tea. I had felt the freedom to invite friends frequently to my “lived in home” after a wise older friend had encouraged me to never invite people over to a perfectly clean house…to leave out a few things so that people would feel comfortable and able to reciprocate. Your article was a good reminder to me today to remember these most important blessings. With a house full of 7 busy children and so much to do, I have to remember to smile more, laugh more and just enjoy the moments. Thank you for the reminder! Our motto is “I came that you might have life, and have it more abundantly.” That’s what you’ll find in our house: abundant life. We have six kids and fifteen pets. I hate how my house looks most of the time, but we homeschool and so we live here 24×7. I stressed about people dropping in for a long time, because our reality is not picture-perfect at any time; some days even sanitary would be an improvement. But I chose one room that we concentrate on so it can be “drop-in-ready.” Which means when an acquaintance calls and says, “I had to make a trip down to see Dad…is it alright if I stop by in about 5 minutes?” That I can say “Yes” and rally the troops and we can have it tidied up in about 3 minutes. Guests visit in that room, and as for the rest of the house….we keep the doors closed. Friends are not guests, and they have earned the right to visit our messy places; they can move the notecards and grab a kitchen chair and pour themselves some iced tea. My mom always showed people around our house before sitting down to visit, and it took me a long time to realize I don’t have to do that. If you live in a ‘model home’ you give tours. If you live in a sort of hybrid chemistry lab and pet rescue, you don’t; it’s just safer that way. Our unofficial motto is “the more the merrier,” and the kids’ friends don’t seem to mind any of the disorder. And laugh a lot. People love hearing families laughing. LOL @ the dusty piano and dirty socks at the porch remark. XD It reminded me of the time I did my teaching internship at a nearby high school. I was given a teacher supervisor who suffered from major chronic OCD. OMG! A fabric was out of place, she had to fix it. If a student had dirty nails, OMG… she would spend a good 15-20 minute berating this student about proper hygiene and such in front of the whole class, poor kid was singled out… basically bullied by this *beep*. Worse still was her constant interruptions during my time to teach. I would lose my place. She has some serious authoritative issues. Reminded me of my bfs’ sister-in-law… always needing to be in control and gets gratification or high when people eat only what she makes and such. I hate megalomaniacs like that. Thank you for posting this I needed to read this especially after a crazy night with my toddler. I’m a young mom with a 15 month old and one on the way and while I’m blessed beyond measures to be able to stay home my house duties tend to fall behind with being prego and a toddler running my life schedule! I pray for peace in my home everyday and this reminds me of the little ways I can incorporate peace in my actions to make my home more loving! Thank you and God bless! I read this and automatically new this was the way to start my strive for a peaceful home…thank you so much…I am going to incorporate this asap. Thanks for your article Lisa! It really made me feel less guilty… I feel exactly the same as you do, but thanks to you not anymore! I never tough about why do we have so many visitors, and you made me think about it, so I can say that I feel our home contributes with love, acceptance, a good listener, advice, and lectures to my visitors, and sometimes even an advocate. There is no day, except one or two Saturdays a month that I don’t have visitors, mostly my teenager friends everyday… Some even call me mom. And even though they contribute to the mess too, I feel blessed. God bless you! When our kids were little we often did 10 minute cleaning sprees at the end of the day☺that way there was less clutter and less stress for the next morning ☺our daughters continue to keep neat home now that they live on their own. Thank you for these words.. A true encouragement from Jesus…..these are all great reminders of what I believe….so grateful to be encouraged in the thick of of what feels so chaotic at times. Hi. I stay in India. I am telling about my country because you must be knowing how everything is here. In india as you know everything is very conservative and corrupt. I have been married since last 4 years. In my family I have my mom, dad, my wife, my 2.5 year old daughter and a pet (a white labrador). Now it seems like my family is a happy family. But it is not. Since last 4 years I have not been able to take a single breath of peace. The main problem is between my mom and my wife as it is mostly in our country. Now they strangest part is they don’t fight with each other but 24 hours a cold war runs between these two and this cold war is having a negative effect on my personal daily life. I always expect the members of my family to live happily and to remain well connected and to love each other. I do all things possible by me for this. I earn money, I do my jobs as well as family jobs so that the work pressure is not much on anyone. I do all possible things. I try every moment to keep everything perfect but unfortunately it is never perfect. My mom loves my daughter very much but it seems she do not love my wife and she always tries to represent to the society that my wife is good for nothing and she does nothing. Whereas I can gurantee that she does a lot and she is always willing to help everyone. I think there is a bit of jelousy working between them. Please help me out. my name is Audrey jason, Am here to testify what Dr agaba ikenga the great spell caster did for me. introduced me to this great spell caster Dr agaba ikenga who helped me bring back my husband within 48hrs. he revived my life and brought back my happiness. This man is real,genuine,strong and trust worthy. I will forever be grateful and thankful to Dr agaba ikenga for restoring my happiness. Contact him now at agabaikenga@gmail.com, Or +2348110166575. He is able and capable to solve all problems. My name is ally and my family is in a terrible state. Sadly i have a 7 year long relationship with 4 kids. It’s help on earth.